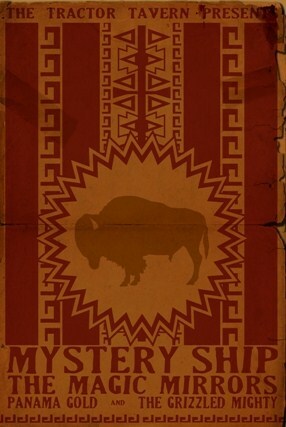 Thank you Tractor Tavern for putting on this great lineup set for Tuesday night of Mystery Ship, The Magic Mirrors, Panama Gold, and The Grizzled Mighty. Look forward to a night of roaring rock, as all rock should be. Written by: Dagmar on 07/24/2011. This entry was tagged grizzled mighty, magic mirrors, mp3, MP3s, mystery ship, panama gold, posted by dagmar. Bookmark the permalink.